Guest House is located in the scenic Connecticut River Valley, situated on 12 wooded acres. 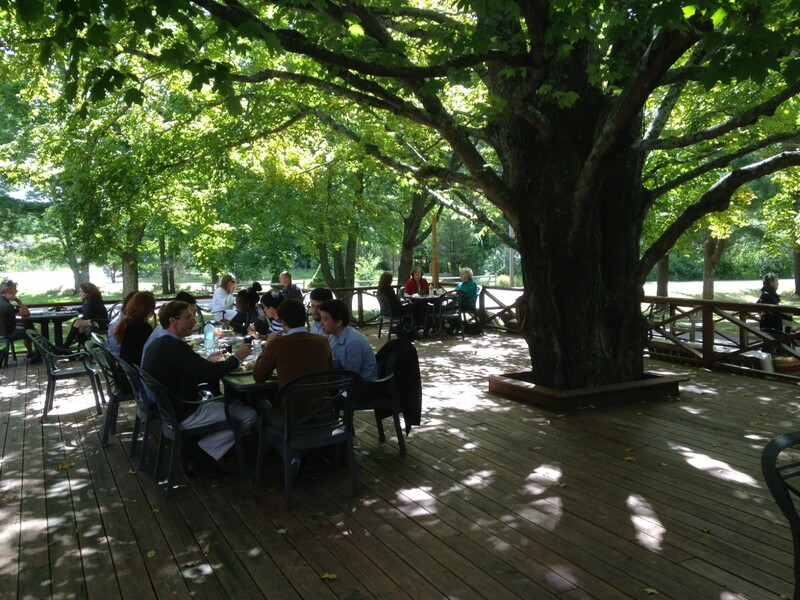 Our tree-shaded, three-tiered deck overlooks a pond, and is ideal for dining and relaxing. Off to the north, we have a large open clover field, perfect for yoga or a volleyball game. Our woods, a Certified Wildlife Habitat, have two 15-20 minute trail loops, perfect for an easy nature walk. 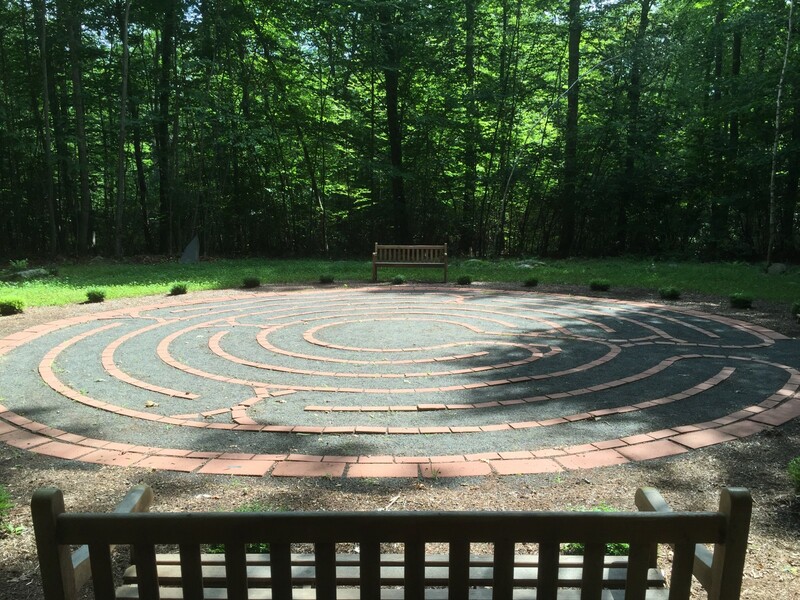 Along the trails, you can find our 25′ Labyrinth, pictured below. 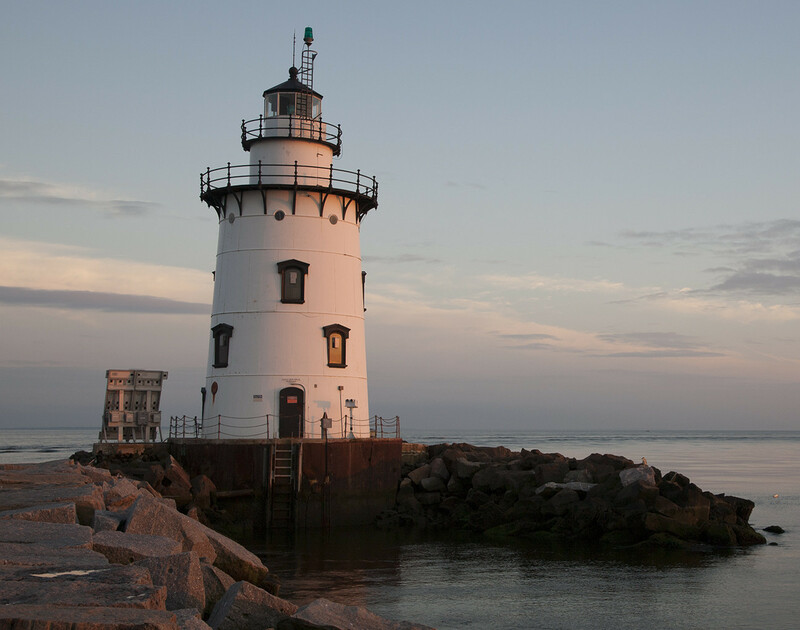 We are a 20-minute drive from gorgeous Connecticut coastline towns and beaches, on the Long Island Sound. If you bring your bicycle, the area’s paved roads offer miles of scenic biking. Bicycles, kayaks, and ski equipment are available for rental near the shoreline. If you are feeling more adventurous, feel free to take on the many miles of hiking trails in the adjacent 16,000 acre Cockaponsent State Forest. 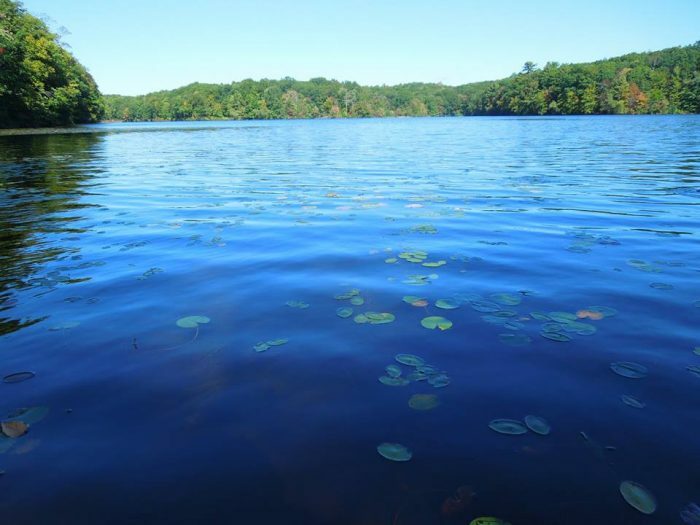 Just 2 miles down the road, swimming is available in the gorgeous 70-acre Cedar Lake, complete with a public beach. Pattaconk Lake is just ½ mile beyond, deep inside Cockaponset State Park. Here you can find picnic areas and more hiking. The nearby town of Chester is a charming New England town featuring several fine restaurants, cafés, art galleries, and boutiques. Gillette Castle, an early 20th-century mansion built in the style of a medieval castle, is a popular local attraction. It’s a quick trip, if you head 6 miles down the road to the Chester-Hadlyme Ferry. The 10-minute car-ferry ride across the Connecticut river is an enjoyable way to see some of the local scenery (May – November). A little further out, Chester is a 35 minute drive from Mystic with its world-famous aquarium and quaint shops.